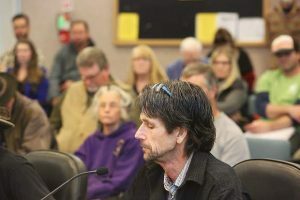 Nevada County growers who want a temporary medical commercial cannabis permit can begin scheduling appointments on June 6 with county officials, the first step in securing a pathway into a legal marketplace. Those appointments, followed by applicants submitting paperwork for local permits, are expected to result in some cultivators participating in a temporary licensing program that falls within the existing cannabis grow ordinance. The Board of Supervisors on Tuesday unanimously approved an urgency ordinance creating the temporary permit program, despite misgivings from some cannabis advocates who question why local growers would opt into a system they say would expire after four months. Collier praised supervisors for taking what he called a symbolic step, but said the local licensing program is flawed. According to Collier, growers must get the temporary local permit and then a temporary state license to be compliant. However, the temporary state license lasts only 120 days. Applying for an annual state license is required to receive a 90-day extension. Collier said the extension is beyond reach for locals. 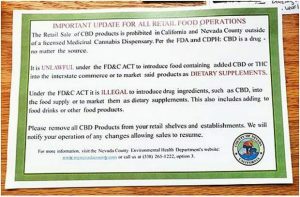 The temporary Nevada County permit doesn’t qualify as local authorization — a requirement for the annual state license — locking growers out. That leaves locals looking at a business they could operate for four months only, Collier said. Amanda Uhrhammer, deputy county counsel, said it’s unknown whether state officials will require a complete application for an annual license, potentially opening the door to locals getting the 90-day extension. The temporary licensing program is a tweak to the county’s existing cannabis ordinance. Local officials have said a permanent ordinance requires an environmental review that’s expected to take months, one reason supervisors opted to allow the temporary permit program. The existing ordinance restricts grows based on zoning and acreage. Commercial grows can occur only on agricultural general, agricultural exclusive and forest zones. Grows are capped at 25 plants, and those grows must be on over 20 acres. Applicants can begin scheduling appointments with county officials on June 6. The county begins accepting applications June 20. Craig Griesbach, the county’s Building Department director, said he’d like to either approve or address issues in temporary permits within two weeks of receiving the applications. “I think there still is going to be the issue of timing,” Supervisor Heidi Hall said. Supervisor Ed Scofield said nothing prevents growers from having 25-plant personal grows on over 20 acres — currently allowed under the existing ordinance. Those cultivators could then convert their farm to a commercial medical grow, if all requirements are met. That could alleviate timing problems. A handful of people who spoke during public comment asked supervisors to allow commercial medical grows on residential agricultural zones, which currently is forbidden. Additionally, supervisors have decided against allowing commercial grows in that zone in the permanent ordinance. “Why have you chosen to remove RA?” Mark Johnson asked. Harry Bennett said the community continues to return to the question of whether to allow commercial grows on residential agricultural. He said removing the zone from consideration takes away a farmer’s ability to farm.